The closest Mars ever gets to Earth is more than 100 times the distance between the Earth-Moon distance (about 250,000 miles), so crewed trips to and from the Red Planet involve far more than mere extensions of Apollo-type missions. The closest approximations are long-term stays aboard space stations but even these can hardly prepare astronauts for the hardships and dangers that interplanetary travel pose. Loss of bone density and the wasting away of muscles – including those of the heart – are well-known problems facing those who spend many months in conditions of zero gravity. Regular, intense exercise, such as on a treadmill, can partly offset these, but the fact is that a return journey to Mars will take longer than anyone has ever spent in space before. 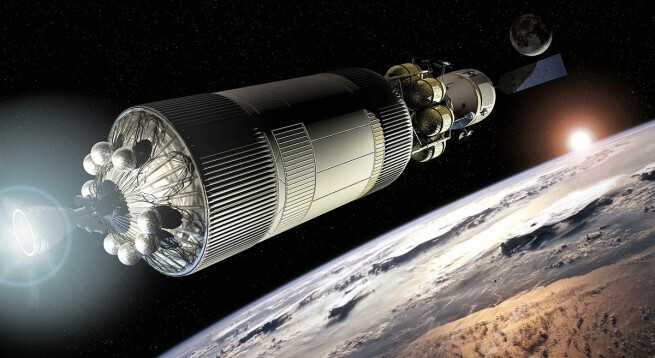 Without some provision for artificial gravity, in the form of a large rotating section of the spacecraft, astronauts might be so deconditioned by the time they arrived on the surface of Mars that lifting reasonably heavy objects could cause debilitating injuries. If someone were to fall seriously ill aboard the International Space Station, there’s the means to return them quickly to Earth. But on a Mars excursion, the crew is on their own with no means to carry out emergency surgery or deal with anything other than minor malaises and injuries. If an emergency were to arise – and the chances of such an emergency are greater the longer the mission goes on – it would most likely be catastrophic for both the individual and the rest of the crew. Most of these health-related difficulties would also face astronauts working on the surface of Mars for extended periods, and would acutely affect colonizers. But those on the ground would also be confronted by the alien environment of the Red Planet itself. Paramount among the hazards unique to Mars is the toxic ultra-fine dust that blankets much of its surface. This dust would quickly be blown into a habitat and also carried inside on astronauts’ boots and clothing, and become more than just an irritant. Martian dust contains highly chlorinated salts – perchlorates – that can cause thyroid damage and react with moisture in the lungs to trigger respiratory problems. Gypsum, too, has been found on Mars, by NASA’s Curiosity rover, and, although not toxic, it could build up in the lungs in the same way that coal-dust does in the lungs of miners. 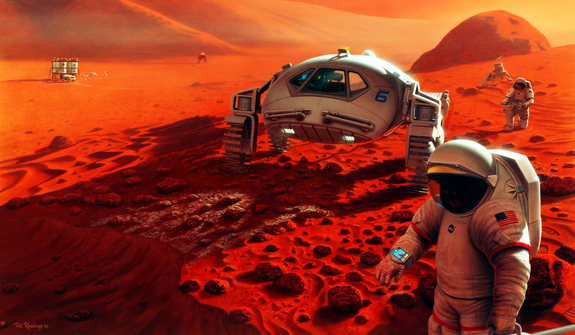 The prospects for the human exploration of Mars and other worlds in the solar system is an exciting one. But the obstacles are formidable and the prospects of help for travelers many millions of miles from home is zero – facts that future mission designers must keep firmly in mind as they make their ambitious plans. The views expressed above are those of the author and do not necessarily reflect those of The SpaceFlight Group. Thank you David for the excellent overview of some of the problems that, although certainly not insurmountable, need to be addressed before the exploration, and possible colonization, of Mars can proceed with a rational degree of safety. Concern as to the mental and physical health of a crew is not “NASA being overly risk-adverse” but NASA doing everything possible to guarantee crew safety and mission success, There is nothing commendable about having a cavalier attitude toward death. With the recent “gotta go to Mars RIGHT NOW” hype, people seem to think going to Mars is like a trip to Yuma Arizona, only with the soil being red and without the cacti. I trust the people who don’t just talk the talk, but who walk the walk – NASA! Interesting article. A prolonged stay on Mars does not seem feasible as of yet, then. Novel propulsion systems could cut the time and thus the radiation we are exposed to by a fair amount. Nevertheless, a permanent stay on the Moon would be much more sensible before trying to venture further out. A lot can be learnt.